Celebrating a special event, birthday, baby shower, or bachelorette party? Looking for a fun workshop to bring to your team? 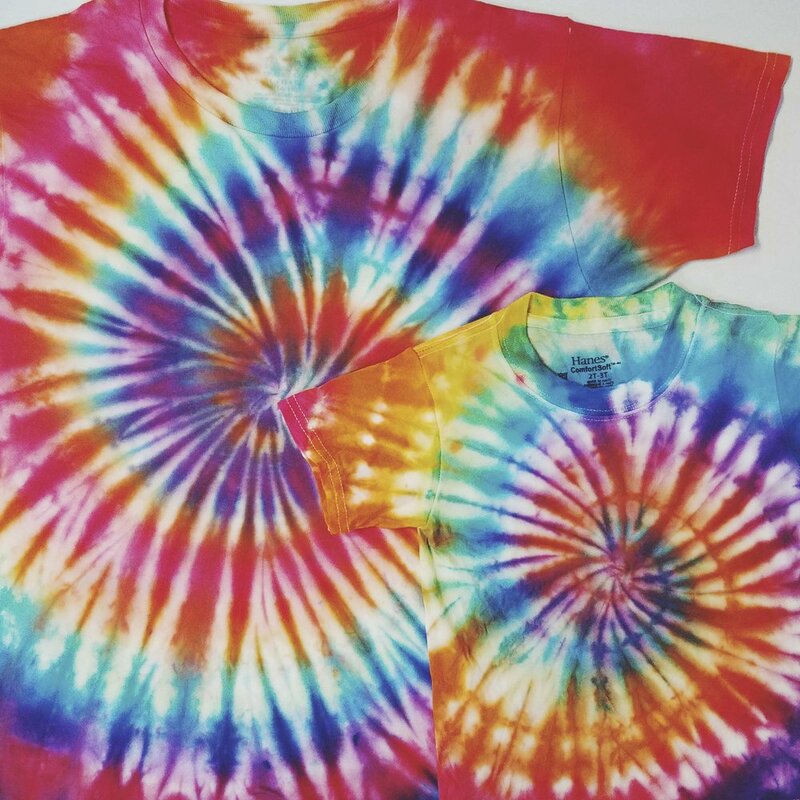 I come to your space, hang tie-dye banners, set up interactive dye stations, and provide guided instruction on how to twist, fold, and create your own Tie Dye works of art. Our professional set up and fun instruction provides a easy, mess-free, DYE-TASTIC addition to any event.